Sportshall Regional Finals provide an indoor multi-event competition helping budding athletes to develop athletics based skills. Traditional events are introduced in adapted forms suitable for the indoor environment. 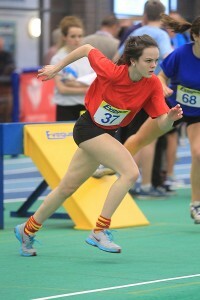 County teams from across England compete in Sportshall Regional finals, whilst finals are staged in Ulster and Wales. All teams are bidding for a place at the UK Final! More information and dates for our Sportshall Regional Finals can be found below, in our fixtures & results pages, or by contacting us using the link to the right of this page.